*Article originally translated from Portuguese. Check the original version here. Thousands of attendees. More than 150 speakers. Marketers, salespeople, and business owners reunited in the paradisiac city of Florianopolis, in the South of Brazil, under one single goal: to discuss digital marketing, sales, management, and customer success strategies to grow businesses. The largest event of its kind in Latin America, the first day of the RD Summit counted with several panel discussions and live talks with experts from the worlds’ major players, as well as the presence of Brazil’s most innovative startups in the marketing and sales scenario. LABS had the opportunity to be there and take notes on the topics that could be relevant for businesses that are doing or at least thinking of doing business in Latin America. Keep reading to find out what was there for you. “The consumer is in the center of the whole purchasing process”. It was based on this statement that Bill Macaitis got on stage to explain the success of companies of a valuation of over USD 1 billion. According to them, one thing all of these companies have in common is the effort of putting their customers’ needs ahead. Costumer-centrism is certainly a very important trend in the ecommerce world as the theme has been each time more present in online retail conferences in Latin America, such as what stated Amazon at the E-commerce Brasil Forum 2018. The reason for that is the topic to be trending is that today there is a very clear transformation in costumer behavior. A few years ago, the brands were the ones who dictated the rules, pushing customers to adapt to their game. Today, the customer knows their needs better and expects the market to provide them with a solution. Understanding how to manage a business in this new paradigm is the first step to an exponential growth, explained Roni Cunha at the second day of the RD Summit. Patrick Lawler parted from a more practical approach and showed the audience how to hire the right customer service team, how to pass on the company’s values, mission and purpose to the customers and, more importantly, how to turn customers into a real extension of the sales team. From strategic to tactical, the RD Summit demonstrated how business management based on consumer needs was one of the main factors that served as a lever for the success of companies considered world-class. Discussing trends for digital marketing without talking about SEO is simply impossible. For this reason, the RD Summit brought to the scene of its main auditorium two world-renowned specialists in the matter: Dr. Marie Haynes and Maryna Hradovich. 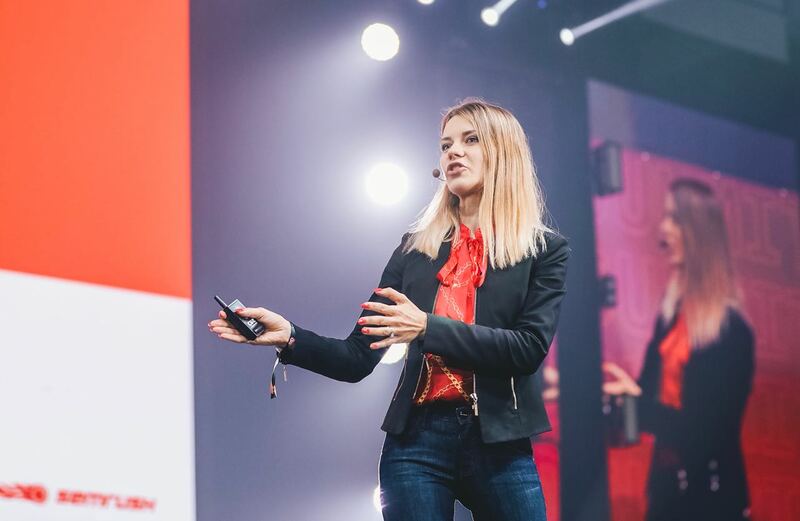 While Haynes unraveled the peculiarities of Google’s algorithms, Maryna Hradovich went beyond the basic optimizations and stated which aspects should be considered to be ahead of the market. For Marie Haynes, the definition of excellent content according to the ranking requirements of Google’s algorithm is connected to three main pillars: knowledge, authority, and reliability. All factors are related and reveal the imminent end of shallow content creation, not only for blogs but especially for ecommerce stores. On the other hand, Maryna Hradovich addressed the trends for the future that are taking on an increasingly important role for SEO: mobile first, artificial intelligence and voice search. Mobile has been one of the most important topics when it comes to trends for organic optimizations, but only now the page really turned to Google. Now, the algorithm already considers mobile before desktop as the searches made via mobile has already surpassed desktop in the vast majority of cases. The mobile era came to stay, as did the usage of artificial intelligence. And not just for SEO; this feature has already been touted as the main transformation for the online world in the coming years. While voice search is gaining a steady boost all over the world, the next big products from companies like Amazon are betting all their chips on this trend. Optimizing for these kinds of searches now means being ahead of the market when the feature becomes even more meaningful to users. According to the international expansion specialist, Talia Baruch, from Google, LinkedIn and SurveyMonkey, the big problem is that many businesses are ready to expand but have all their product and brand strategy adapted only to their own language and culture. This is the reason why many brands fail when attempting to become global, as the company needs to be ready to adapt to the local models and behaviors in exchange for a sustainable growth rate. More than technical knowledge, to achieve excellence one needs inspiration and good role models. Thus, besides all the experts, the RD Summit also brought to scene stories that filled the crowded auditoriums with motivations. 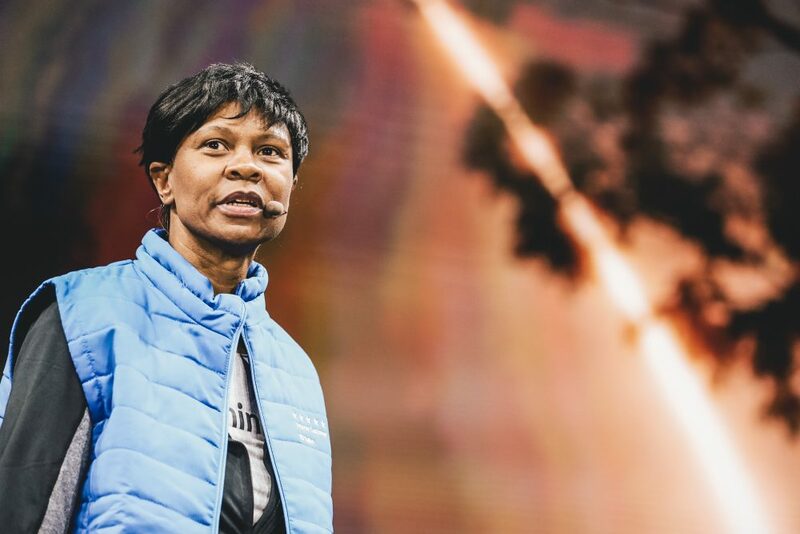 To talk about the importance of dreaming and believing in our dreams, Yvonne Cagle, NASA astronaut, came up to stage to tell her story, from the moment she decided that she wanted to go to space, after watching Neil Armstrong step on the moon in 1969, to her own journey as an astronaut. According to Cagle, “the possibilities are infinite” for those that believe in their dreams, using herself as an example. She has already fulfilled her childhood dream of being to space, but she didn’t stop there. Her main dream now is going to Mars, and, to fulfill this one, she seeks “people who also dare to dream”. 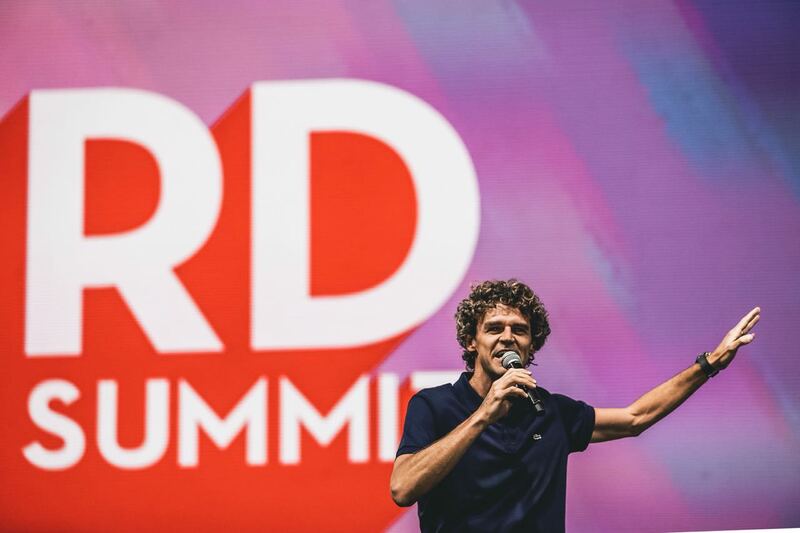 Still on the believing in our goals matter, the Brazilian former tennis player, Guga Kuerten, spoke to a crowded auditorium filled with more than 5,000 people about the power of knowing which lasting impression we want to leave on the world and working unceasingly to achieve that. The athlete tells that he worked very hard to get sponsors, not even having a place in a tennis court to practice at the beginning of his career. Kuerten, who won the Roland Garros tournament three times, didn’t let the adversities get to him and never gave up. “We need to work our convictions daily”, adding that the secret of persistence is “dreaming everyday until the dream mixes up with real life, because it has become a reality”. Three days of enriching experiences and profound content. The main lesson we can take from the RD Summit is that success comes along with the power of reinventing ourselves in order to keep up with the accelerated pace of the world we live in.